With its enormous skies and low levels of light pollution, it’s no surprise that Norfolk is one of the best places in the country for stargazing. The north of the county is an especially good place to explore the galaxy, with stargazing events regularly held across the area. Around 90% of the UK population is unable to fully see the stars thanks to light pollution, so it’s no wonder that thousands flock to the Norfolk coast every year to see the constellations. Whether you’ve set up a telescope in our expansive countryside or you’ve found the perfect spot on an idyllic East Anglian beach, Norfolk is a fantastic place to lie back, relax and watch the universe go by. 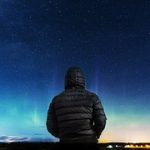 Though stargazing has always been a popular activity in Norfolk, the BBC’s recent series Stargazing Live, has brought the pastime into the mainstream. One of the programme’s presenters, and the astronomer on The One Show, Mark Thompson is also the president of the Norwich Astronomical Society. The show has helped to inspire a whole new generation of stargazers, with many of Norfolk’s best locations now teaming with amateur astronomers. Whether you’ve been recently inspired to take up the telescope, or you’re an old hand when it comes to identifying Orion, The Plough and the Seven Sisters, you’ll find plenty of locations to explore across Norfolk. Regular events take place at Kelling Heath, one of the best known stargazing spots in the county. Other popular Norfolk locations include Salthouse and Cley, but great views can be enjoyed from pretty much any rural spot in the county. If you’re just in the county for a holiday, check with the local tourist board to find out about events that are taking place during your stay. If you live nearby, or want to find out a little more about stargazing while you’re in the area, drop into the Norwich Astronomical Society for one of the group’s weekly meetings and get a taste of what stargazing is all about. With countless beaches, country parks and protected areas to explore, there are more than enough excellent stargazing spots in Norfolk to keep you busy. If you are heading out to the beach to have a go – or even want to nip out into our back garden just see our constellation maps on the pinboard or ask a member of staff for a copy. This entry was posted in What to do/Where to go and tagged cosy, Events, Gardens, Norfolk, Romantic, sedgeford, Sky, Star gazing, Warm on September 29, 2016 by Lili Skerritt. As the sun starts to set on summer, September is the perfect time to enjoy a drink in our beautiful garden or be wined and dined in our popular restaurant. Awarded TripAdvisor’s Certificate of Excellence, The King William IV Country Inn and Restaurant will be taking part in North Norfolk Restaurant Week. From the 26th September to the 9th October we’ll be part of North Norfolk’s biggest dining event. So join us for a culinary celebration of the county’s favourite food spots and tuck into two courses for just £15 or 3 courses for £20. We’ve put together a special menu exclusively for the event, with 4 different dishes to choose from for each course. Booking is advised and the offer excludes Friday evenings, Saturdays and Sunday lunch. 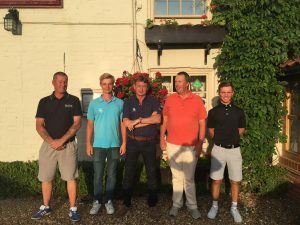 SUMMER HIGHLIGHT: The King William Hosts Carris Trophy Golf Talent! The Carris Trophy (British Boys Championship) was held on the manicured golf links of hunstanton Golf Club from 19/7 to 22/7. With 160 of the best young golfers from the UK, France, Germany, Sweden, Denmark and Belgium competing for the prestigious Carris Trophy over 4 days, the quality of golf produced by these young golfers was truly outstanding. The King William was delighted to host 3 aspiring young golfers during their time at Hunstanton. Pleasingly, all three players made the ‘cut’ with the top 60 players progressing to the 3rd and 4th days. From Lille, France we welcomed Mathieu Caron and his father Christoph. With scores of 74, 76, 78 and 74 Mathieu finished a highly creditable 50th. In 15th position was a young Englishman from Swindon, Jake Bolton, with his father Mark. Jake shot 71, 77, 71, 70 and was delighted to hear that he had been selected for England’s forthcoming Under 18’s Tour to Canada. Congratulations Jake. Topping the lot young Oscar Teiffel from Gothenberg, Sweden, started the final round in joint first position and ended the tournament in third place. On his bag was his younger brother whilst his father Peter walked all 4 rounds – sometimes in the presence of Nick and our elder Labrador, Max. A fantastic performance by Oscar with scores of 71, 69, 68 and 72 leaving him on 8 Under Par for the Tournament. It was an absolute pleasure to hoste three such talented and modest young golfers (and their dad’s) . I hope that one day we can welcome them back to The King William and Hunstanton GC. Names to look out for !! This entry was posted in General News and tagged Dining, Eating Out, Event, Food, Hunstanton, NNRW, Norfolk, North Norfolk Restaurant Week, sedgeford on September 14, 2016 by Lili Skerritt.